Here's your essential guide to all of the key characters in Netflix's 'Dumplin' and the actors who play them. 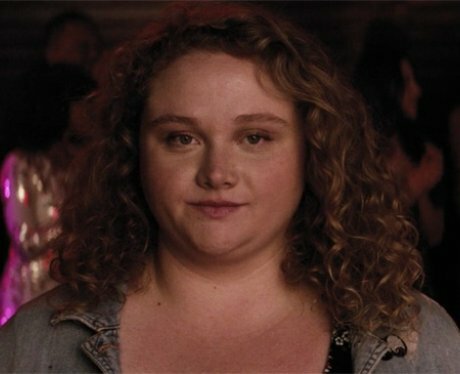 Australian actress Danielle Macdonald plays Willowdean "Dumplin" Dickson in 'Dumplin'. Willowdean is a lover of Dolly Parton and in her final year of high school in her small town, where she is planning on protesting by entering the local beauty pageant as an unconventional contestant. Danielle is best known for her role in crime film 'Every Secret Thing' and drama, 'Patti Cake$'. Actress and comedian Hilliary Begley plays Lucy Dickson in 'Dumplin'. Lucy is Willowdean's aunt and a massive influence on her life. This is actually Hilliary's first film credit but she has a movie, When We Last Spoke, coming out in 2019. American actress Maddie Baillio plays Millie Michalchuk in 'Dumplin'. Millie is a plus-sized outsider at Willowdean's school who joins the pageant too, against her Christian mother's wishes. Maddie is best known for starring in Hairspray Live! American actor Sam Pancake stars as Dale in 'Dumplin'. Dale is an old friend of Lucy and friends with Candee Disch and Lee Wayne. Sam has starred in numerous TV roles, including 'Will & Grace' and 'Charmed'. 13. Who plays Callie in 'Dumplin'? Actress Georgie Flores plays Callie in 'Dumplin'. Callie works with Ellen Dryver and she enters the beauty pageant. Georgie is best known for her roles in 'CSI: NY' and 'Famous in Love'. 14. Who plays Marcus in 'Dumplin'? Tian Richards plays Marcus in 'Dumplin'. Marcus works with Willowdean Dickson and Bo Larson at the diner. Tian is known for his roles in The Immortal Life of Henrietta Lacks, Burden and A Bad Moms Christmas.